“Oops!.. I Did It Again! 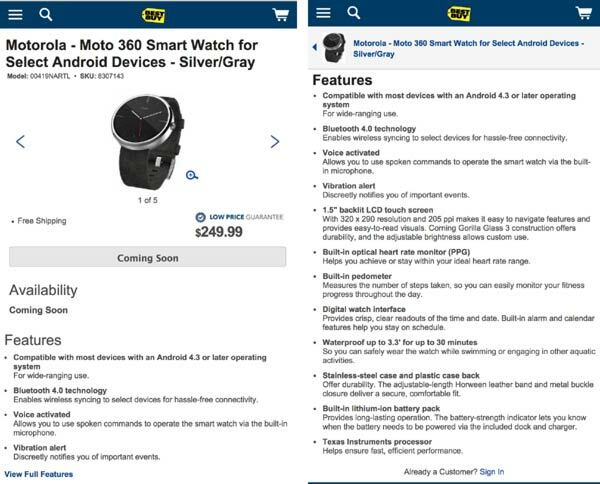 !” says Best Buy, as the US retailer has jumped the gun yet again, this time outing the Moto 360 smartwatch’s specs sheet and price tag. The Android Wear device is set to launch at a Motorola event happening on 4th September, alongside two smartphones and a Bluetooth accessory. However, Best Buy’s listing has gone live a touch early, stating that the device will be sold for $249.99 and is ‘Coming Soon’. Although the listing has now been taken down, some specifications listed along with the smartwatch were captured by The Verge, which includes a 1.5-inch 320×290 pixel LCD display with 205ppi, a Texas Instruments processor plus 512MB of RAM, a built-in pedometer, a heart rate monitor, and the display isprotected with Gorilla Glass 3. The device is also said to be water resistant for 30 minutes in up to 3.3 feet of water. 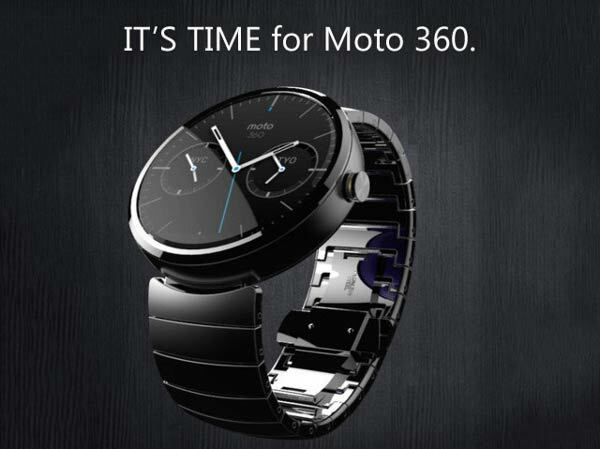 Additionally, the website stated that the Moto 360 will ship with a dock, and weighs in at 2.1 ounces (60g). Even though Google has previously advised that the Moto 360 will be available sometimes this summer, launching in September is stretching the definition of summer slightly. The UK pricing is likely to be slightly higher than the dollar-to-pound conversion of £149, and is likely to be priced somewhere north of £175, judging by previous smartwatch launches. However, with the product page now removed, it is still possible that the device could have a last minute price change, considering rivalling Android Wear devices are such as the Samsung Gear Live, and the LG G watch are priced slightly lower at $199 (£169) and $229 (£159) respectively. For now, we shall wait patiently until early next month, and we will of course update you with any new information prior to that.